We are dedicated to provide quality work at the lowest price possible. We have been providing our services for over 20 years, and there is no job too small or too big that we can not do. All of our work is made out of NEW iron and painted with industrial grade oil enamel, or with an optional powder coat or galvanizing upon request. We are currently offering our services to all of the Greater Los Angeles County and our neighboring county's such as Riverside County, Ventura County and Orange County on exemptions. 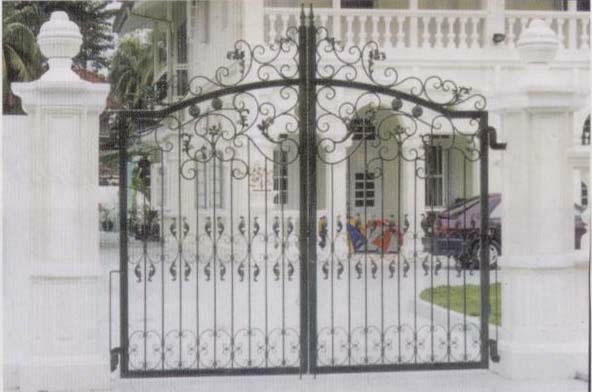 Ornamental Security-Home manufactures wrought iron fences, gates, doors, railings, window bars, etc. For more information visit the about us page or click here . We currently do regional jobs, in Southern California. We are located in Compton, California. For more information call us at (310)763-8361 or email at sales@oshiron.com . © Copyright 2006 Ornamental Security-Home. All Rights Reserved.